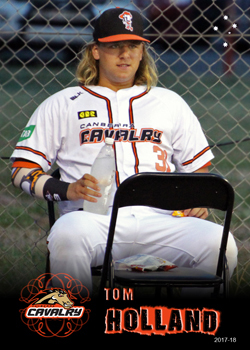 The grandson of Australian test cricketer Bob “Dutchy” Holland, Thomas (Tom) Holland made the shift from Newcastle to Canberra to make his ABL debut with the Canberra cavalry during the 2017-18 ABL season. 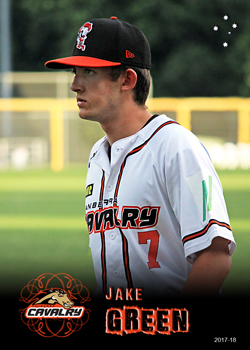 He was a former team mate of fellow Cavalry player, Jake Amos. I’ve struggled to find any info on Roberts, a 19 year old pitcher who made his ABL debut with the Sydney Blue Sox during the 2017-18 ABL season. He appears to have been born in New Zealand, but to have grown up, at least in later years, in Sydney. Chen is a Taiwanese import who played with the Brisbane Bandits during the 2017-18 ABL season. Chen spent 5 season playing in the Chicago Cubs’ farm system between 2007 and 2011, reaching triple A level. 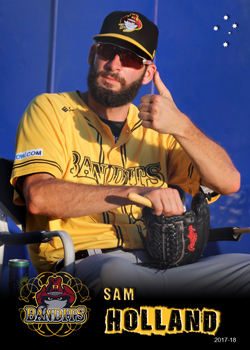 He played in his native CPBL with the Brother Elephants between 2013 and 2017, before moving to the Fubon Guardians in 2018. 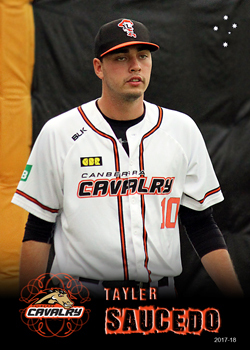 Bachar is an American import from the San Diego Padres organisation who played with the Canberra Cavalry during the 2017-18ABL season. In 2017 he played both Rookie level ball for the Padres as well as their single A farm team, the Fort Wayne TinCaps. In 2018 he also played with Fort Wayne as well as the double level San Antonio Missions. 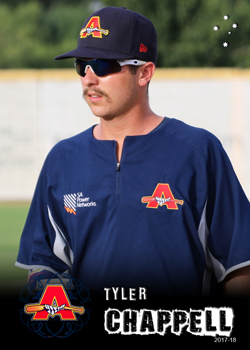 Chappell is a local player who had his second season with the Adelaide Bite during the 2017-18 ABL season. He spent the 2017 northern summer playing for Třebíč Nuclears in the Czech Extraliga. 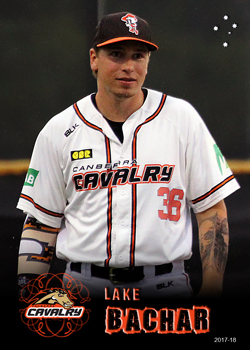 Green is a Canberra youngster who played for the Canberra Cavalry during the 2017-18 ABL season. Green made his debut, pitching in two games during the season. He was also a member of Australia’s U23 World Cup squad in 2018. 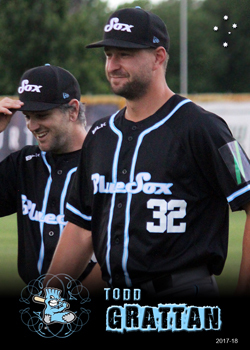 The 2017-18 ABL season was Grattan’s seventh ABL season with the Sydney Blue Sox. 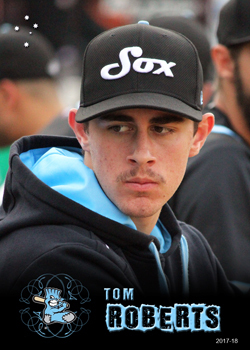 The season saw him used for the first time in the Blue Soxes’ starting rotation in three games, the first time he’s stepped out of the bullpen at ABL level. 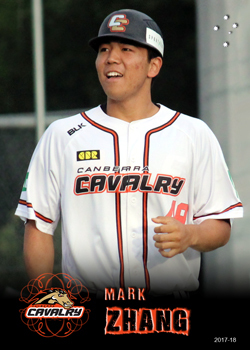 Saucedo is an American import from the Toronto Blue Jays organisation who played with the Canberra cavalry during the 2017-18 ABL season. In 2017 he played for the Lansing Lugnuts and Dunedin Blue Jays, Toronto’s single and advanced A level teams. In 2018 he continued on with Dunedin before moving up to the double A New Hampshire Fisher Cats. 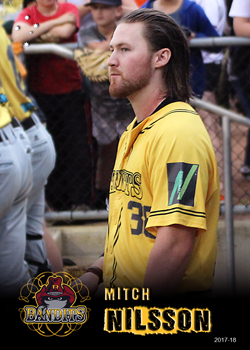 Nilsson returned for his eighth ABL season with the Brisbane Bandits during the 2017-18 ABL season. Nilsson has been spending the Australian winters playing in the German Bundesliga, playing for the Heidenheim Heideköpfen in 2017 and 2018. 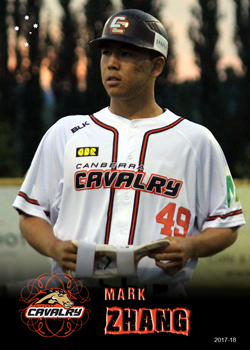 Zhang was a local Canberra player who made his ABL debut with the Canberra Cavalry during the 2017-18 ABL season. As a developmental player he only managed playing time in two games, with a single at-bat in each. Zhang signed on to play with Bay College in Michigan over 2018-19. 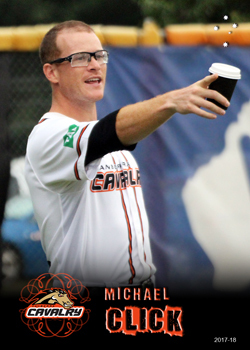 McGarry is a local player who had his second year with the Adelaide Bite during the 2017-18 ABL season. In 2017 he played as a senior for Cameron University in Oklahoma, having spent the previous three seasons also in Oklahoma, at East Central University and Redlands College. 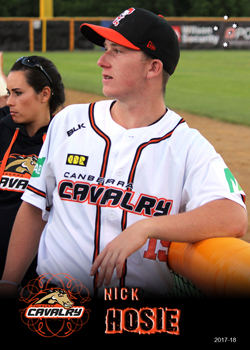 The 2017-18 ABL season was American import Click's second season with the Canberra Cavalry, having played two years earlier during 2015-16. Since 2016 he has spent his northern summers playing with the York Revolution in the independent Atlantic League. 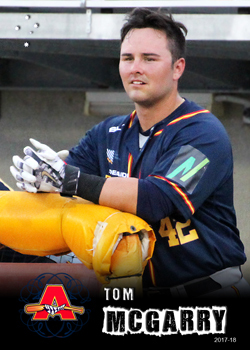 The 2017-18 ABL season was local player Holland's fourth season with the Brisbane Bandits. Holland spent 2017 playing for the Inland Empire 66ers, the LA Angels affiliate in the Advanced A level California League. Unfortunately for Holland he became a free agent at the end of the 2017 northern summer and it appears that he wasn't picked by another organisation for 2018. 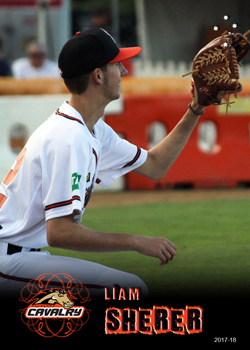 Sherer is a local developmental junior who made his ABL debut with the Canberra Cavalry during the 2017-18 ABL season. 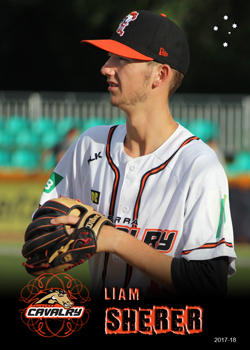 He spent his time playing in the Canberra competition as a position player, and is listed as a Shortstop on the ABL website but his debut ABL season game time consisted of a single inning pitched in a single game.